My expatriate grandfather died in Shanghai in January, 1941. Had he lived longer, he might have shared the fate of his Russian-born wife (my step-grandmother), who was afterwards imprisoned in a Japanese internment camp. There were seven such civilian internment camps in Shanghai, and I don't know in which one she was confined. 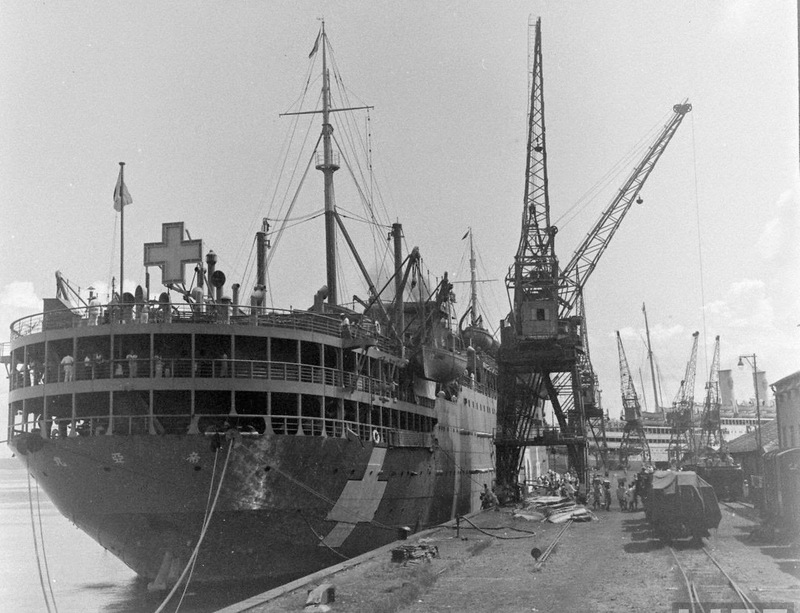 Included in a prisoner exchange, she sailed from Shanghai to Mormugao, Goa, aboard the Teia Maru (departed September 20, arrived October 15, 1943). An exchange of Japanese and allied civilian prisoners took place at Mormugao. 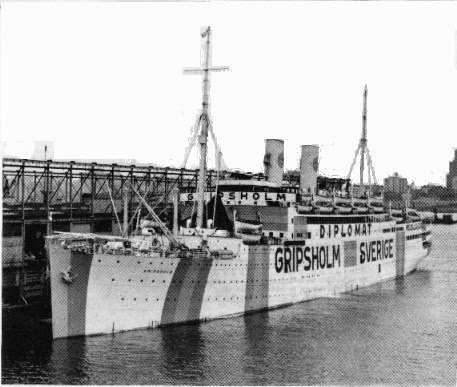 She then sailed from Mormugao to New York aboard the Gripsholm (departed October 22, arrived December 1, 1943), after which I can find no trace of her. 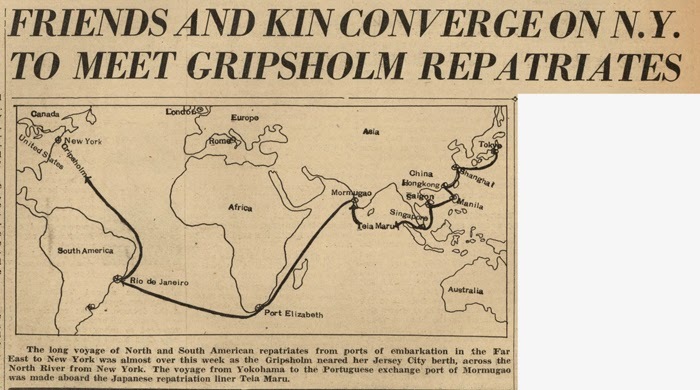 The prisoner exchange was a prominent news story during late 1943. See e.g. The title of this post comes from "Return of the Gripsholm," New York Times (December 3, 1943) 22.